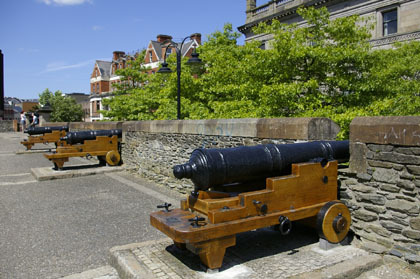 Londonderry or Derry is a region we hope to deliver fast and efficient tu around on the EPC's we provide in that city. We have EPC Providers throughout Northe Ireland. As a local company workign directly with the local home owner we can provide a quality and reliable service at no additional cost to you the Derry / London Derry home owner or landlord. 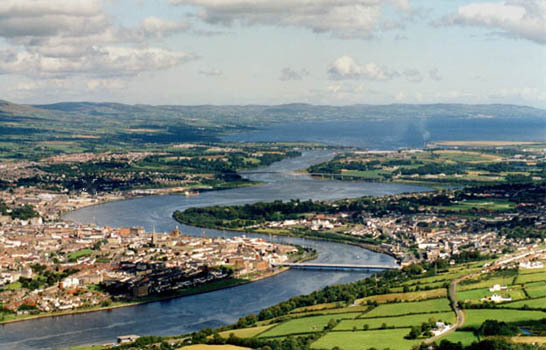 There are many homes on the market in Derry at the moment for sale and rent and we understand the needs of Derry people for a professional, fast and most importantly low cost provision of an Energy Performance Certificate. Please call us on 02890 200 540 or email at the address below or through our contact page so we can discuss how EPC Belfast NI can best fulfill your needs. EPC Limavady, EPC Strabane, EPC Omagh, EPC Dungiven, EPC Claudy, EPC Portswewart, EPC Portrush, EPC Coleraine, EPC Ballymoney EPC Ballycastle, . For an apartment anywhere in Derry or the surrounding region we offer a flat fee service for £54 pounds this includes VAT and all other charges. Apartment EPC derry for £54 is great value for money please do callfor more details. As we have identified Derry as a thriving location we have fixed the cost of all EPC's in the entire Derry region to £54 this includes Terraced Homes. Terraced home EPC Derry for £54 is a super deal that we can offer as we are located so close by. All semi detached homes in Derry and surrounding region also fall into our fixed fee pricing structure of £54 including VAT and all other charges. This means that any Semi Detached home in Derry or the sourrounding regions can be surveyed and and an Energy Performance Certificate Provided for it at the flat fee of £54. Please do not hesitate to call us to arrange a booking today. All detached homes in Derry regardless of there size are included into our pricing structure and we are pleased to offer them as part of the fixed fee £54 pounds deal. This may not last for ever so please contact us to ensure you are not disappointed. Booking for EPC's in Derry fill up quickly so please call in advance if possible to ensure your needs are fully meet.